PERSONAL INJURY LAW - Fano Law, P.A. Since 2001, Dennis G. Fano, Esq. has been assisting the injured to recover damages, including medical bills and compensation for lost wages, due to accidents or the negligence of another business, product or person. As a Florida Personal Injury law firm we strive to obtain justice for all of our clients, no matter the size of the case. We are determined to use our 18 years of experience to resolve your personal injury claim to maximize your physical and financial recovery. We will evaluate your case for free and we only get paid if you win your case or agree to a settlement. Attorney Fano understands that your quality of life can be impacted instantly as a result of a personal injury. Aside from serious injuries, many victims of car accidents are left with medical bills, property damages, lost wages, and more. Relying on insurance companies to cover expenses after a car accident is usually not the best option for you, as their focus is on minimizing their liability. Insurance companies are not concerned about the long term effects of your injuries and how it will impact your quality of life. Once you hire the Dennis G. Fano, Jr., Esq. of Fano Law, P.A. to take your case, you won’t need to speak with the insurance company at all, everything will be handled for you. If you or someone you love has been seriously injured in a car accident in Palm Beach, Martin or St. Lucie counties, you should consult with Dennis G. Fano, Esq. to ensure that you are justly compensated. The consultation is FREE and there is absolutely no obligation to hire our law firm. Please fill out our Free Case Evaluation Form or call us at 772-600-2648. When you buy a product from a company it is expected that the product will not cause you any harm and that it is 100 % safe. Sometimes one will buy a product that has flaws or is defective. An example may be purchasing a vehicle that has faulty wiring. A defect like faulty wiring could cause severe injuries or even cause death. If you or a loved one has injured in any way due to a defective product Dennis G. Fano, Esq. is here to help. We can help you receive compensation for your or your loved ones injuries. When a corporation or company of any type manufactures a product including but not limited to medical equipment, toys, or a motor vehicle etc… they have the responsibility to make sure that the product functions properly and is safe. Any product could be defective or have flaws that go undetected, and ends up being purchased. When consumers purchases defective/faulty products there is always a chance of injury and also sometimes the chance of death occurring with severe defects/faults. If you or a loved one suffers injury of any type from defective/faulty product do not hesitate to contact The Law Offices of Dennis Fano. We will fight for you to help you receive the highest compensation you can for your injury. A lot of companies and corporations may have their lawyer contact you and try to get you to take a settlement offer to avoid being dragged through the court system. Before considering or excepting any type of settlement contact Dennis G. Fano, Esq. and he will help advise you to what is the best thing to do. There is the possibility of settling out of court for a higher settlement price then what you have been offered. Property owners are responsible to have their property reasonably safe, and are responsible for any accidents that occur on their property due to unsafe/hazardous property conditions. If you or someone you know is injured on someone else’s property due to hazardous/unsafe conditions please contact the Law Offices of Dennis G. Fano, Esq., we are here to help you. Some injuries can be more severe than others, but no injury caused by unsafe conditions should be overlooked. When it comes to swimming pools and accidents a pool owner has a responsibility to ensure safety and is responsible against injuries including but not limited to drowning deaths. Faulty equipment, not having proper fencing, and a lack of supervision all lead to pool related injuries and death. When it comes to establishments such as hotels, apartment buildings, bars, parking garages and other like premises, negligent/poor security may cause accidents and the establishment may be held responsible for any injuries that may occur due to security issues. Unlocked gates, missing or broken locks, poor lighting are all examples of inadequate security. Inadequate security can cause bystanders to sneak in, or criminals could break into the establishment and cause bodily harm to others. If you or someone you know may have been injured, physically or financially due to a property owners failure to properly maintain or secure their property please fill out our Free Case Evaluation Form or call us at (855) FANOLAW (326-6529). Dog owners are responsible for their dog at all times. Dog related injuries such as bites can be very serious. In worse case scenarios some attacks can lead to irreversible damage or even death. Someone bit by a dog is at the risk of needing stitches, developing an infection, or can cause bad scarring. Also there is a possibility of needing plastic surgery or having permanent nerve damage. 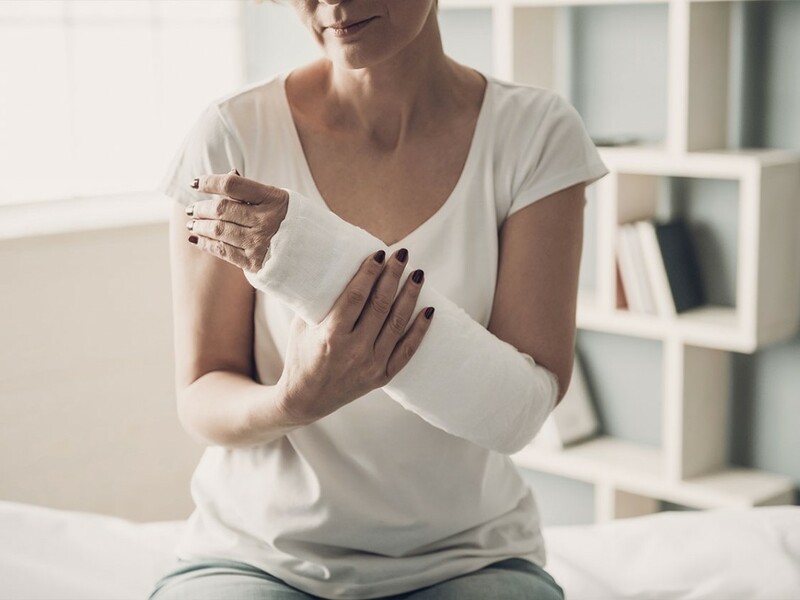 Victims may be able to receive damages for forfeited work wages ,medical bills(including, current, past, and future), emotional and physical pain and suffering. According to Florida law, dog owners may be held liable if their dog bites someone on the owners property or in a public place. Florida’s law goes by a theory of strict liability. Strict liability means dog owners could be held accountable for what ever their dog does, with no regard to fault or intent. A plaintiff does not need proof of injury being a result of negligence on the defendants part. If at any time an owners dog is deemed “dangerous,” the dog has to be registered permanently with authorities as being dangerous.If a dog is deemed dangerous, it must be kept in a secure area. In that area owner must have warning signs in all entrance ways to let bystanders know that the dog is dangerous. When an owner is walking the dog outside of the secure area the dog is required to have a strong and secure leash or harness, and dog must also be wearing a muzzle.Only people over the age of 18 are permitted to walk the dog. If a dangerous dog causes injuries to someone there is a possibility of the owner facing criminal charges. Depending upon how serious an injury is a owner could even face homicide charges. If the dog goes after someone because it is trying to defend his or her owner, the owner might not be held liable for damages. If you or someone you know may have been injured, physically or financially due to a dog owners failure to properly secure their dog please fill out our Request an Appointment or call us at 772-600-2648. Is Your Insurance Company Giving You The Run Around? Sometimes an insurance company may all of a sudden deny you coverage, May take an unreasonable amount of time to pay your claim, refuse to give you a legitimate claim. They may also refuse to pay a claim in hopes that the policyholder will give up on it or file a lawsuit. Insurance companies that do such things could possibly be liable for something known as bad faith insurance practices. Insurance companies that show bad faith insurance practices may be taken to court for such actions. If you feel that your insurance company is guilty of bad faith insurance practice, or not sure if they are please contact The Law Offices of Dennis Fano, Esq. If you have been a victim of bad faith insurance practices we can help you reach a settlement. Some insurance companies may avoid dealing with you by not returning your calls. If your insurance company is avoiding your calls, or any of the above things that could constitute bad faith insurance practices Contact Dennis G. Fano, Esq. to help you. Please keep in mind that it is always a good idea to keep records of your communications with your insurance company. If you or someone you know may be being unduly delayed in receiving payment of their claim from their insurance company please fill out our Free Case Evaluation Form or call us at 772-600-2648.